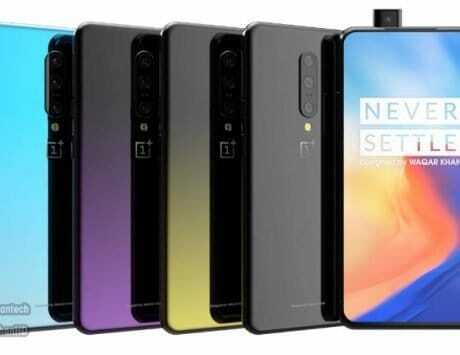 OnePlus 6T has now been leaked on GeekBench, the device is expected to go on sale from November 6, next month. OnePlus has been in the smartphone industry for a relatively short time. 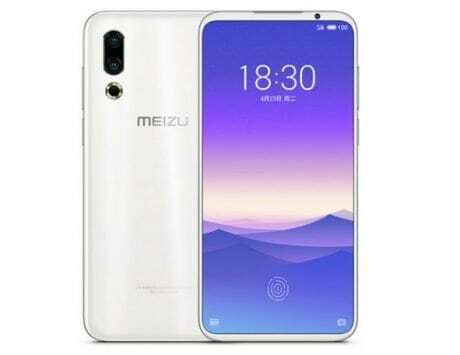 But in that time, it has learnt from others manufactures, listened to its fans’ needs, and offered smartphones with an overall good value for money. OnePlus 6 was a device launched earlier this year with great overall design and great price-to-performance ratio. And now, the company has started teasing the launch of OnePlus 6T, and has even started pre-booking for the device, which is expected to be announced later this month on October 30. 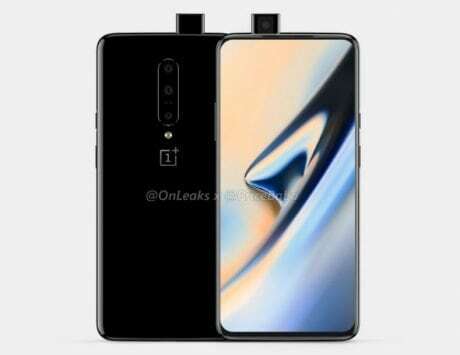 We already have a fair idea on what to expect from OnePlus‘ next flagship smartphone because we have come across quite a few leaks already. 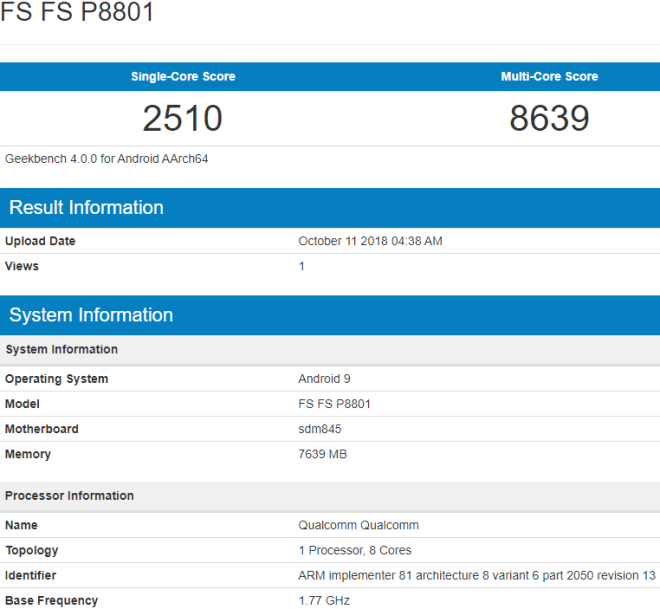 Now, alleged benchmark scores of the OnePlus 6T has surfaced on Chinese benchmarking website, Geekbench. According to the listing, the device will feature a single-core score of 2,510, and multi-core score of 8,639. These are not really much higher than the scores managed by the OnePlus 6. But these scores do confirm that the OnePlus 6 successor will have the same Qualcomm Snapdragon 845 processor under the hood. 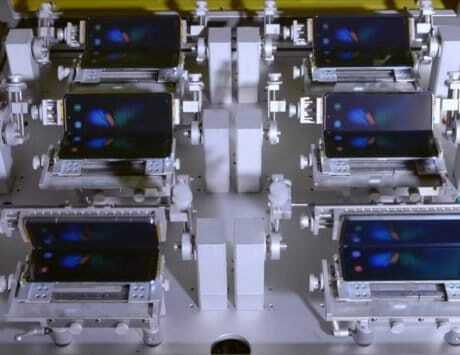 That said, the final device could have major improvements on speed optimizations, and could even boast a liquid-cooling technology to further improve the SoC performance. Based on what has leaked so far, the OnePlus 6T will have a 6.4-inch OLED display with a waterdrop style notch, and a higher screen-to-body ratio. The company has already teased that there will be an in-display fingerprint sensor used on a OnePlus device for the first time. Also confirmed is the lack of a 3.5mm audio jack, although OnePlus has already announced the new USB Type-C Bullets earphones (sold separately). OnePlus 6 6GB RAM and 64GB storage version out of stock on Amazon India: Could this be the beginning of the end? 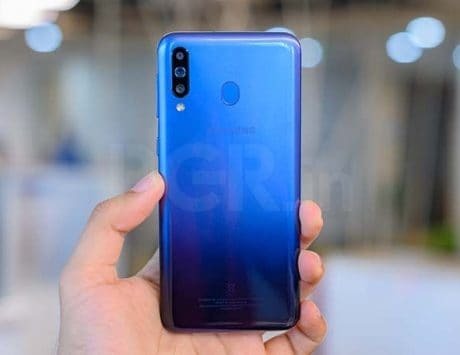 The upcoming smartphone is expected to retain the dual-camera setup at the back, and run Android Pie out-of-the-box. 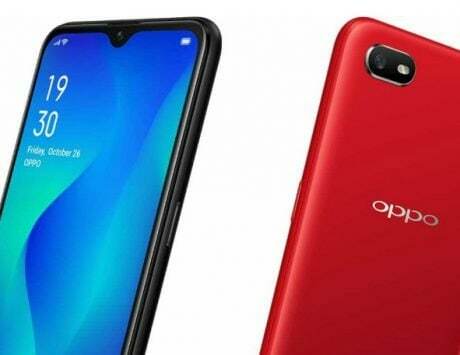 It will also be backed by a 3,700mAh battery.